Should your hiring process include an aptitude test? Elite talent is becoming more difficult to find. Employing relevant filters into the hiring process is a great way to reserve your HR resources while maximizing your ROI on the process. The question for many employers is whether to include an aptitude test as a standard aspect of hiring. Below are a few of the advantages. Because the company itself administers the aptitude test, the company can determine the scope of the material tested. General aptitude is one thing; specific talent for the job at hand is quite another. An aptitude test is one way to streamline the hiring process by narrowing down the pool of applicants based on specific talent. As long as the test is generally representative of the job, employers will gain valuable insights as to the day one acumen and the long-term viability of an employee. An aptitude test allows an employer to assess talents that an interview cannot. It can be difficult for an interviewer to shoehorn in questions about general aptitude in the space of a short conversation. The aptitude test allows the prospect to answer questions at her own pace, and it allows the company to ask all the questions that it needs to. Prospects may also be able to detail problem solving skills that are specific to the position. Employers will no longer have to translate the accomplishments from the prospect’s resume into potential results for the company. An aptitude test allows an employer to assess the behavioral characteristics of a prospect rather than dealing in theory and potential. These situations can be specifically detailed in an aptitude test. There may also be some disadvantages to the inclusion of an attitude test in your hiring process. 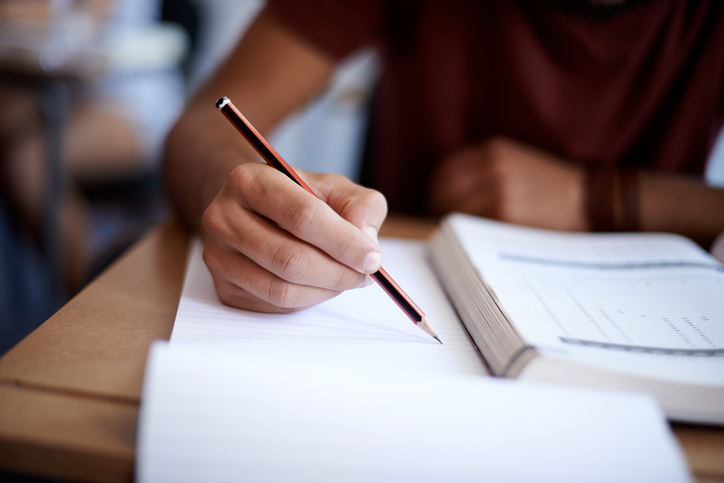 Some of your prospects may simply be worse at taking written tests than others. It is up to the responsible party within your company to determine whether a bad performance on an aptitude test completely disqualifies an applicant from a position. Depending on the nature of your aptitude test, it can extend the application procedure beyond the scope in which you are looking to hire a new employee. You may shorten the test; however, an abbreviated version of the test may not be able to incorporate all the questions that you are looking to ask. Aptitude tests are better suited for higher level positions in which applicants are presumed to have previous knowledge of the industry and the position. Aptitude tests are less viable for entry-level positions, as those positions may be filled by unskilled workers or people with no previous knowledge of the industry. There are certainly some advantages to including an aptitude test in your hiring process. However, it is not a catchall solution for the process. If you are considering an aptitude test, consider how that test will function within the total procedure. Make sure that you are not prematurely disqualifying good applicants just because they are unfamiliar with the test format or because you are hiring for a position that does not require such knowledge.